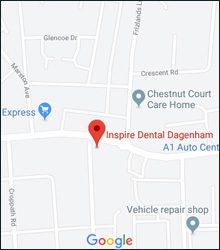 Inspire Dental offers both NHS and Private dentistry with both male and female dentists. We have an independent Periodontist, an orthodontist, and in-house Hygienist. Qualified from the St. Barts & Royal London Hospital School of Medicine and Dentistry in 2002. Carried out VT training at Upton Park Dental Care and stayed on for 6 years. Started at Inspire Dental in 2008. 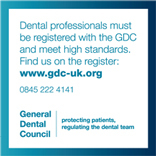 Is a general dentist, interested in restorative dentistry. Has a certificate in restorative dental practice from the Eastman Dental Institute. Mala graduated from Cardiff University in 2013. She carried out her vocational training in Stanford-le-Hope before joining Inspire Dental in 2015. Mala enjoys general dentistry and ensures she stays up to date with the latest techniques and materials by regularly attending courses. Her focus is on preventing diseases and patient education. Ioanna is a general dentist and graduated from the Aristotle University of Thessaloniki, Greece in 2007. She has been working as a dentist since 2009 and her main field of interest is periodontology (gum disease) and minor oral surgery. Previously Ioanna worked with dental implants and can provide her patients with valuable information on implants. She also holds a university degree in pedagogics (teaching) and before starting her career in dentistry she taught in a primary school for 2 years. Also she speaks English, Greek and French fluently. Dr Bhumika Patel graduated with honours in 2013 from the Royal London Dental Hospital. She went on to complete her vocational training in London and has worked in London since. She joined our team in January 2015. Bhumika enjoys all aspects of general and has a particular passion for aesthetic dentistry. She also enjoys treating children. Her friendly and calm manner helps to deliver a positive experience for our younger patients. Bhumika is committed to developing and updating her skills and most recently has completed a yearlong course in the field of restorative and aesthetic dentistry. Outside of work Bhumika enjoys travelling and socialising with friends. Cotiso is a highly experienced dentist with an MA in Medical Management and 17 years dental practice experience. With first class interpersonal and communication skills he is accustomed to dealing with people at all levels of understanding, demonstrating a supportive and compassionate approach in the care of all his patients. Demonstrating high levels of personal and professional integrity, he delivers outstanding levels of clinical expertise. His main focuses are endodontic treatment and delivering excellent aesthetic dentistry to achieve beautiful smiles for his patients. Dr Christina Evaghoras was educated in North London before studying dentistry at Guy's Hospital. Christina qualified as a dentist in 1997. In the year that followed she worked at Guy's gaining further experience in maxillofacial surgery, children's dentistry and oral Medicine. A year in general practice was then followed by further experience in surgery and orthodontics. Cara qualified in 2015 from Kings College London with a combined Diploma in Dental Hygiene and Therapy. Prior to this, Cara graduated from Queen Mary, University of London with a degree in Biomedical Science. She has recently published research on archaeological patterns of oral health in medieval skeletons. Cara's extensive medical and scientific knowledge helps her identify underlying health conditions that may affect a patient's gum disease. Her varied experience in private, NHS and community clinics means that Cara is able to treat different severities of gum disease and is comfortable accompanying a patient throughout their full course of treatment. Cara is an enthusiastic Hygiene Therapist and prides herself on her gentle approach. She thoroughly enjoys educating patients in all aspects of their oral health and strives to ensure all patients leave the practice knowing how to achieve the most from their oral hygiene routine.